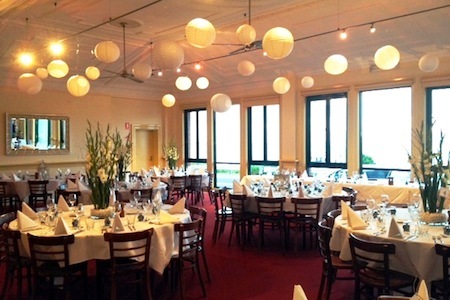 Host your function at Lorne Hotel's premier function centre - The View. Named accordingly, the view boasts magnificent panoramic views of Victoria's world-famous coastline, set against the relaxed and funky streetscape of Lorne's township. 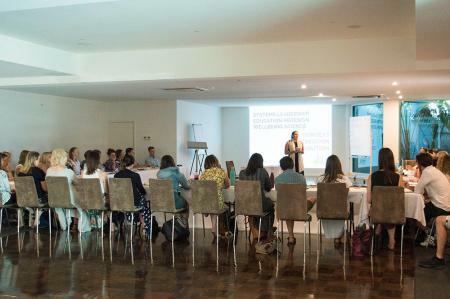 Located on the third level of the Lorne Hotel with breathtaking views across Lorne and the Pacific Ocean, we offer the perfect function venue for any type of function - corporate, anniversary, engagement and more. The glass frontage and large private terrace showcases this spectacular region of the Victorian coastline. There are extensive dining and beverage selections to suit your requirements and further add to the occasion. You can relax and enjoy the celebration, safe in the knowledge that our events management team will ensure your event runs smoothly and is a unique and personal experience. The venue is fitted with state of the art audio visual equipment for your convenience. Enjoy a meal in the spacious bistro with floor to ceiling windows or dine outdoors on the rooftop beer garden. Enjoy an ice cold beer in our bottom bar. Whatever you're looking for, the Lorne Hotel will have something for everyone.